The High Court will rule next week on whether Sean Quinn's children can pursue a claim that their father unduly influenced them to sign securities for loans of hundreds of millions of euro by Anglo Irish Bank to companies in the Quinn Group. The children want to make the claim in their action against the Irish Bank Resolution Corporation denying liability for a total of €415 million. Mr Justice Garrett Simons will also rule on the Quinns' objection to being cross-examined about an alleged conspiracy to put assets from the Quinn international property group beyond the reach of the bank. It has also emerged that the former Anglo CEO, David Drumm is no longer listed as a witness in the Quinn children's case. There are 20 witnesses listed in a list provided to the judge and it does not include Mr Drumm. 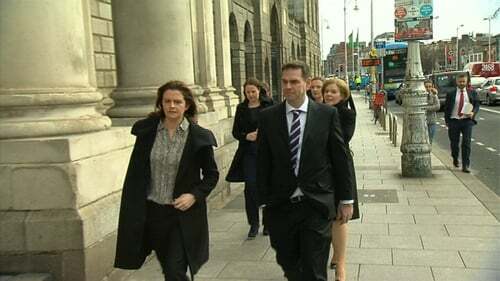 Senior Counsel Bernard Dunleavy, who is representing the Quinns, said they were still trying to persuade some reluctant people to give evidence. Mr Justice Simons said they could seek permission to add others if necessary. Mr Dunleavy asked the judge to allow the children to claim undue influence by their father. The children intend to say that when they signed documents they did so under their father's influence and they would be seriously prejudiced if they could not say this in court. He said the way the children grew up, their father "took every decision". He said this was not a complicated version of events, and did not require the level of additional detail IBRC claimed was needed. IBRC is strongly objecting to the application. Senior Counsel, Brian Murray said the children had known about this alleged undue influence for ten years. They had never joined their father as a defendant and until the case opened, they had claimed Anglo exercised undue influence over them in relation to the signing of securities. He said permitting them to now allege that their father was the "primary wrongdoer" radically changed the case the bank had to meet. Lawyers for the Quinns also asked the judge to direct that the children could not be cross examined by IBRC about its claims of a conspiracy to put international property assets out of the reach of the bank. Senior Counsel, Ciaran Lewis said those matters were not issues in this case. But the bank argued these are not collateral issues but are central to the children's credibility and to showing they were not ignorant and unsophisticated in relation to the Quinn businesses. Mr Justice Simons will give his ruling on the issues next Wednesday.